The Holiday Special is awful. Everyone must see it at least once, but never any more, it's almost even worse the second time round, cause you know what's going to happen. It's like watching a train wreck in slow motion. You know what's going to happen and that somehow makes it that much worse. That holiday at the Fetts video is even funnier now that I can pick up th esound for it! Merry Christmas. It's almost here, just one more night. merry Christmas to all my friends here at this awesome website, and i look forward to another year here with all of you. I love all you , merry Christmas you filthy animals. Only exciting thing so far is money, gift cards, and Traitor. Got "The Last Jihad", great book. I got Link's Crossbow training, which is a lot of fun! And Wildlife Zoo (which is a sort of SimZoo). A Tailor's Ham, which I've been wanting for a while now. 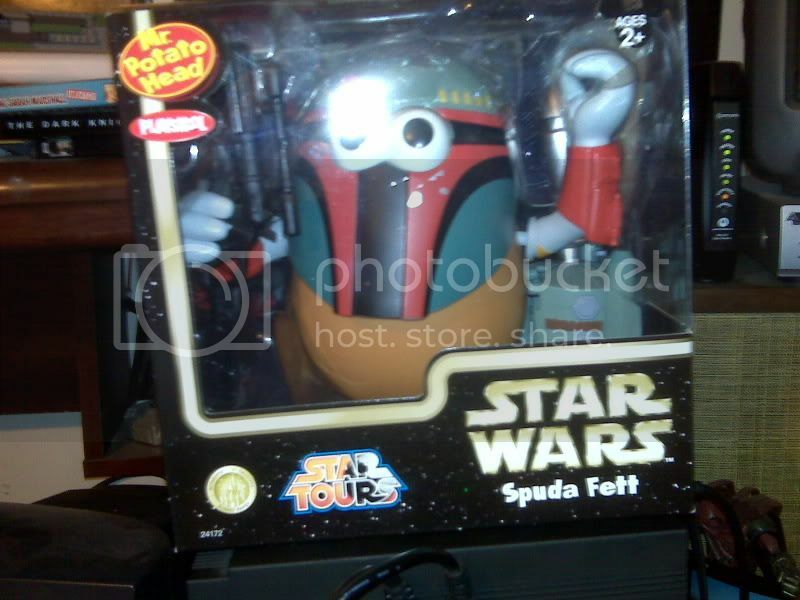 And the Boba mug Target has. fedora + gloves to go with my leather jacket (the fedora is similar to the Indiana Jones fedora, but more like the Rorschach fedora/trilby/hat thing). I GOT MY OWN COMPUTER!!!!! ITS SO AWESOME ITS SLEEK AND BLACK AND SHINEY AND IT COMES WITH A MIC AND A WEBCAM AND ITS MINE!!! LOL nice amounts of loot here. I did well, got a few SW novels in the mix I'd been wanting which was nice. 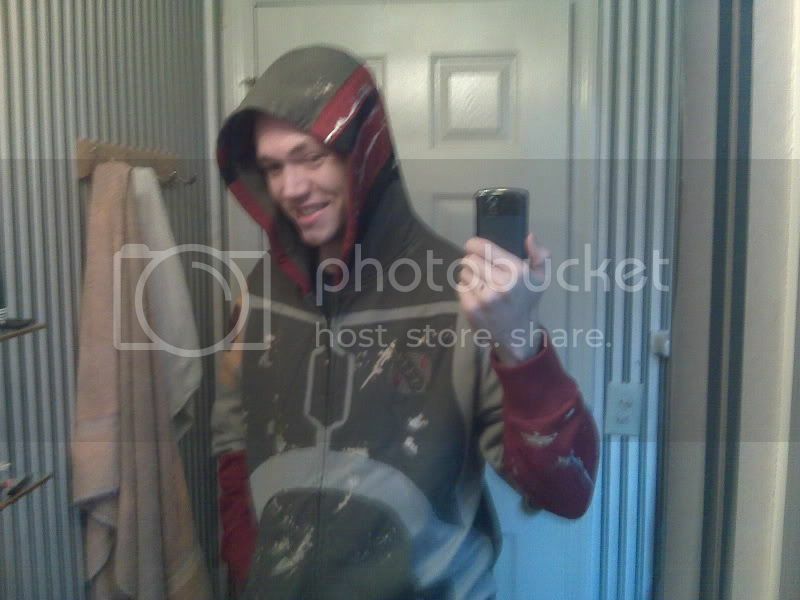 Fett II, find out where that shirt is from....i wants it. and ceciliacrimsondragonfett, nice call with the chrono trigger game, thats a classic and a favorite of mine. tada. and chrono trigger is beast. I'm happy because I've got X360 now. Yes I have it too. It's very cool! CDs and cash, and a new gun. Sweet. A gun? A gun? Eek!!! That reminds me, I also got a chordbook form my guitar. I can play exactly like Jimi Hendrix can play right now.